On the day of His Resurrection Jesus Christ left in the tomb the shroud which is the symbol of our infirmities, our weaknesses, our imperfections. 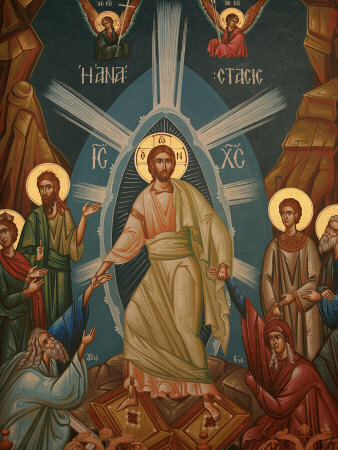 Christ comes from the tomb triumphant—completely free of earthly limitation; He is animated with a life that is intense and perfect, and which vibrates in every fibre of His being. In Him everything that is mortal has been absorbed by His glorified life.